Lime said last month that they were aware of reports that some scooters " break when subjected to repeated abuse"
The electric scooter company Lime is recalling some scooters after receiving reports that they have broken during use. Lime said Monday that all scooters in their fleet that were made by the Chinese company Okai Vehicles would be taken off streets, in all cities where they operate. “We are actively looking into reports that scooters manufactured by Okai may break and are working cooperatively with the U.S. Consumer Product Safety Commission and the relevant agencies internationally to get to the bottom of this,” the company said in a statement. Scooters made by Okai make up only a portion of Lime's total fleet. Lime declined to answer questions on how many scooters are being recalled, or how users can differentiate between the recalled model and other models. Okai did not respond to an inquiry. Lime plans to replace the Okai scooters in its fleet with other models. They said they do not expect any disruption in service. Lime recalled a different model of scooters, the Segway Ninebot, in August. They discovered that the batteries could smolder or catch fire. The company said in an Oct. 30 statement that they removed Segway Ninebot scooters from Lake Tahoe, Los Angeles and San Diego. The company said in that statement that they were aware of problems with the Okai model as well. They said they had received reports that the scooters could "break when subjected to repeated abuse." "It’s possible for Okai baseboards to crack or break if ridden off a curb at high speed," the statement said. Electric scooter use has grown in the District, but critics have raised concerns about safety. 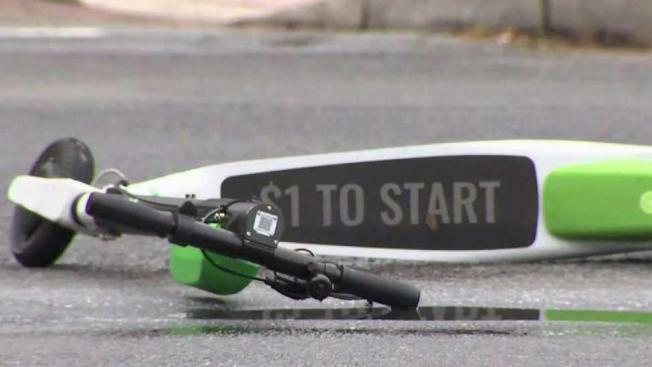 D.C. saw its first scooter-related death in September, when a 20-year-old man riding a Lime scooter was hit by an SUV and killed at Dupont Circle.